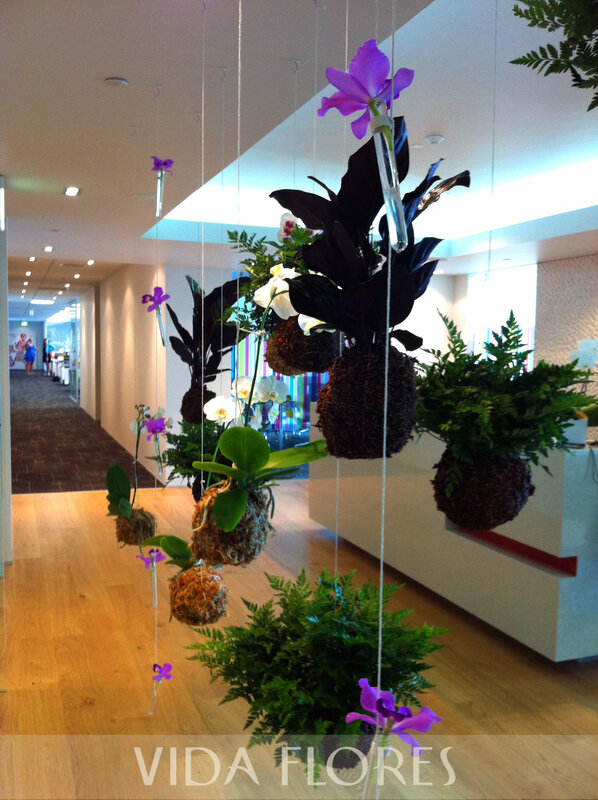 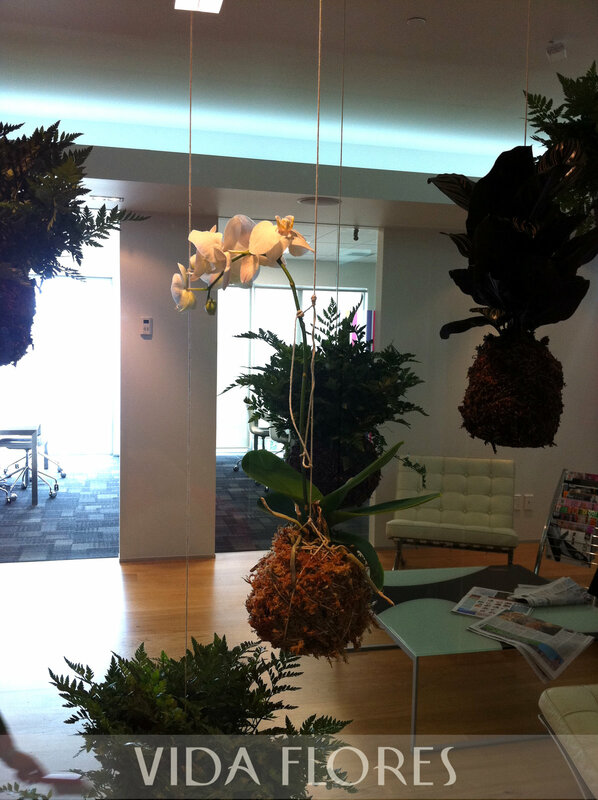 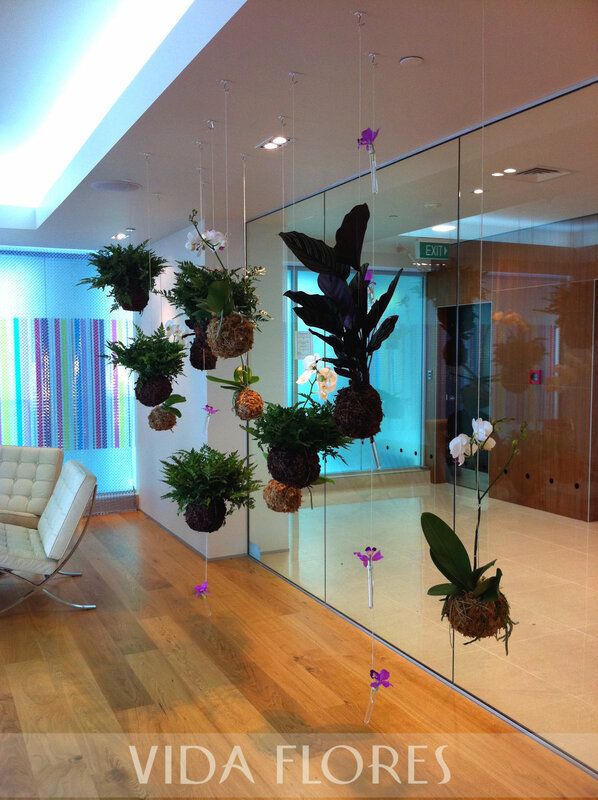 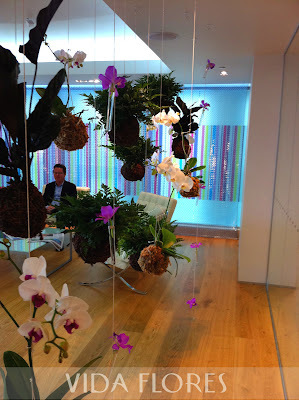 Our Japanese inspired string garden recently exhibited at the opening of our clients new reception space. 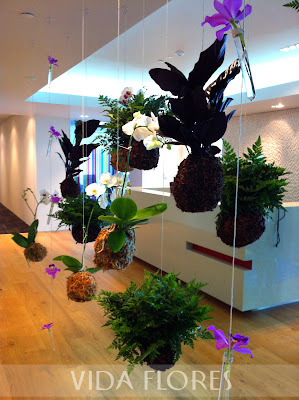 The Phalaenopsis plants, Calathea plants and fabulous ferns were coated in moss and grass seed which would grow over time. 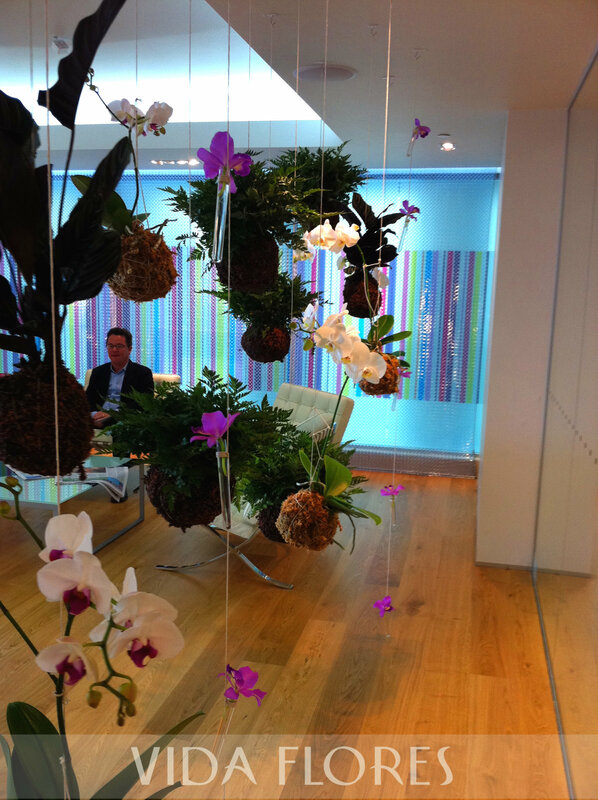 Hot Pink orchids hung delicately between the hanging plants in little plastic test tubes.